Hide deals from seller "Warrior Arts Martial Arts & Fitness Supply"
Limit 1 per person and 1 per transaction. Valid toward merchandise. Store hours vary; call or email beforehand to ensure store is open. Full value of Gift Certificate must be redeemed in 1 transaction. Gain the will of a warrior with 50% off a $40 Gift Certificate to Warrior Arts Martial Arts & Fitness Supply in West Town. 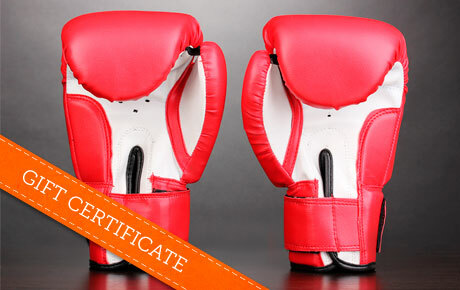 This high-quality gear will help martial artists, boxers, personal trainers and enthusiasts look and train like pros. Owner Sidney Stein has been a practitioner of martial arts for more than 30 years and recently opened Warrior Arts to provide others with high-quality martial arts and boxing equipment. The staff is both knowledgeable and experienced, so they can provide customers with accurate information and sound advice. They carry a wide range of items, from boxing, MMA and Muay Thai gear to weapons, apparel and DVDs. Whether you’re a novice or a seasoned professional, this gear will help boost your training to the next level. Store in West Town offering high-quality martial arts and boxing equipment.